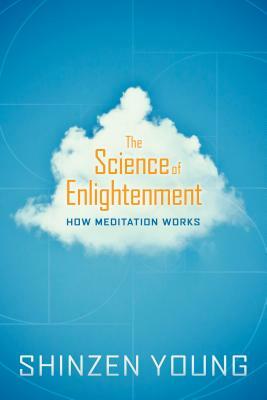 "Enlightenment"--is it a myth or is it real? In every spiritual tradition, inner explorers have discovered that the liberated state is in fact a natural experience, as real as the sensations you are having right now--and that through the investigation of your own thoughts, feelings, and perceptions you can awaken to clear insight and a happiness independent of conditions. For decades, one of the most engaging teachers of our time has illuminated the many dimensions of awakening--but solely at his live retreats and on audio recordings. Now, with The Science of Enlightenment, Shinzen Young brings to readers an uncommonly lucid guide to mindfulness meditation for the first time: how it works and how to use it to enhance your cognitive capacities, your kindness and connection with the world, and the richness of all your experiences. For meditators of all levels and beliefs--especially those who think they've heard it all--this many-faceted gem will be sure to surprise, provoke, illuminate, and inspire. Shinzen YoungShinzen Young became fascinated with Asian culture while a teenager in Los Angeles. Later he enrolled in a PhD program in Buddhist Studies at the University of Wisconsin. Eventually, he went to Asia and did extensive training in each of the three major Buddhist traditions: Vajrayana, Zen and Vipassana. Upon returning to the United States, his academic interests shifted to the burgeoning dialogue between Eastern meditation and Western science. Shinzen is known for his innovative "interactive, algorithmic approach" to mindfulness, a system specifically designed for use in pain management, recovery support, and as an adjunct to psychotherapy. He leads meditation retreats throughout North America and has helped establish numerous mindfulness centers and programs. He also consults widely on meditation-related research, in both the clinical and the basic science domains. He often says: "My life's passion lies in exploring what may arise from the cross-fertilization of the best of the East with the best of the West."